When the government fails to meet the needs of its citizens, the citizens will go around them and produce their own solutions, whether they’re legal or not. That might mean occupying an alleyway with temporary housing, using cheap materials to create new public seating and other street furniture, or turning a disused city square into a park. 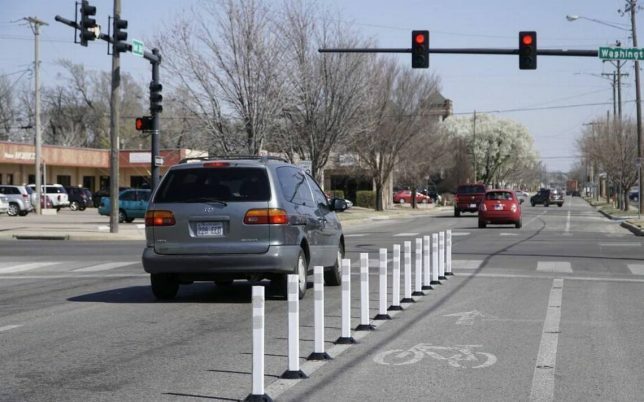 In the Omaha neighborhood of Aksarben this week, it meant cyclists rounding up 120 toilet plungers and transforming them into a DIY bike lane barricade on one of the city’s more dangerous streets. 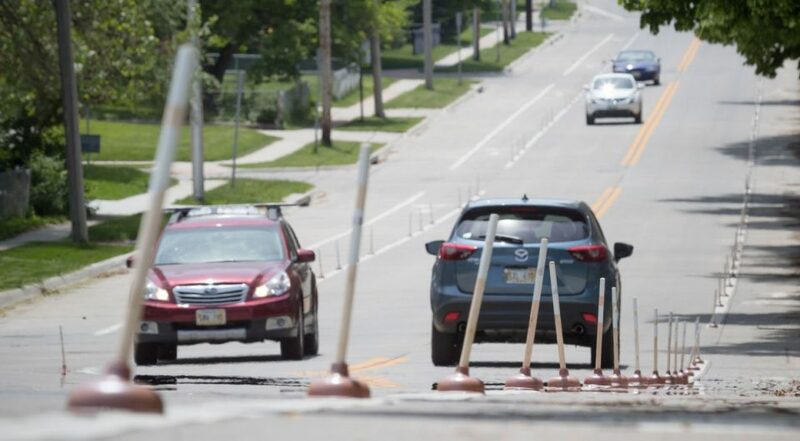 The group, calling itself PSA, or Plungers for Safer Aksarben, wrapped the plungers’ handles with reflective tape and glued them to the street without asking permission from the city. They knew their installation wouldn’t stay up forever, but hoped it would remain in place for at least 36 hours to call attention to a growing problem, since this bike lane has been the site of multiple accidents. City workers came by to take them down after just three hours. Todd Pfitzer, the deputy director for transportation for the city of Omaha, told KETV “You just can’t decide one day to go out and do something on a public street, which is owned by taxpayers, that could create a dangerous situation without at least working with Public Works and getting a permit for it.” But he also said the city wouldn’t have approved a permit anyway. Well, actually, Todd, you can do that, if the city fails to take necessary action. Just ask your fellow Midwestern city of Wichita, Kansas. 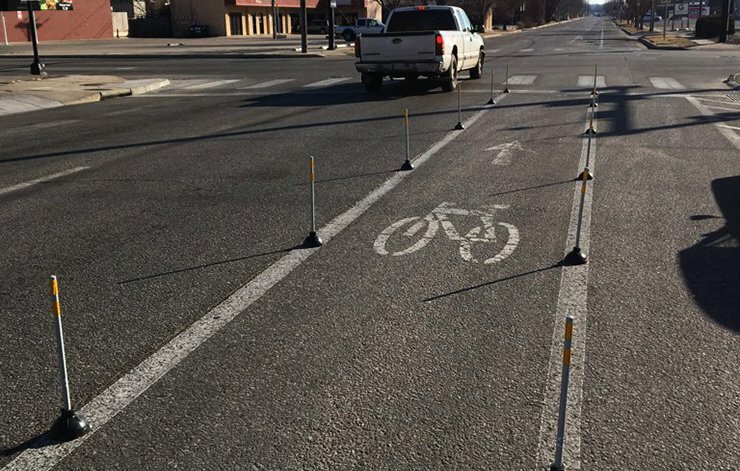 Members of a tactical urbanism group calling themselves the Yellowbrick Street Team installed their own makeshift bike lane safety barricade using plungers, reflective tape and masonry adhesive back in March with the same goal, and city officials ultimately agreed that a more permanent solution was needed. Since then, they put up real barriers in the plungers’ place.